Not all great cameras are necessarily expensive shooters from the high-end range. Value of a camera is determined by more than just specifications, pure image quality and performance. It all depends on who is the camera intended for, it’s ease of use and value for money. 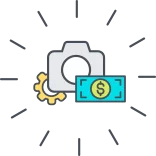 While we can appreciate all the enthusiast and professional photographers out there, one must understand that a large portion of the camera industry revolves around average, non-tech savvy users and casual photographers. Therefore, we see a wide range of affordable and simple-to-use cameras come out every year. The Nikon Coolpix S33 is one such camera. The first thing to know about this camera is that it will not overly impress anyone with its image quality or performance, but it will certainly turn a lot of heads with the very affordable price tag it proudly wears. Do not get us wrong, the S33 offers more than just cheap price tag, as it also comes with some interesting and useful features. So, what exactly is Nikon Coolpix S33? Well, it is an entry-level point-and-shoot underwater camera. The S33 is intended for family use, more specifically for family time on a vacation. Sure, it will find its uses elsewhere too, but sunny summer beaches are where it shines the most. It is a robust, rugged, straightforward shooter which is designated as water-proof down 10m (33ft) and shock-proof up to 1.5m (5ft). It features a 13.2 MP CMOS sensor which will deliver 13 MP full-resolution stills and 1080p Full HD video at 30 frames per second (FPS). There is also a 3x optical zoom option and a wide range of fun and creative filters which will make your photos more interesting. The Nikon Coolpix S33 is a successor to the Coolpix S33. From consumer’s perspective, the first logical step when looking at the S33 is to compare it with its predecessor. One should always compare any differences both in specifications and features to see exactly what is upgraded and does the difference in price justify the new model. In this case, there are only a few notable upgrades, namely a new and improved Autofocus (AF) system and a new battery. Other differences are mainly cosmetic in body design and software. The fact that the new model does not offer more upgrades is not that surprising, because when it comes to action and rugged cameras, it is an established practice with virtually all manufacturers not go overboard with upgrades between two generations. Just like its predecessor, the S33’s body is made entirely out of plastic. This not to say the body is not made to last. On the contrary, remember the Nokia 3310 mobile phone was made of cheap plastic, and we all know how that went. The main difference in design compared to the S22 is that the S33 has a more attractive, glossy finish. Do note that due to this the camera is very slippery, especially when wet. The white colored model works nicely with the glossy finish and kind of feels premium, even though it isn’t. 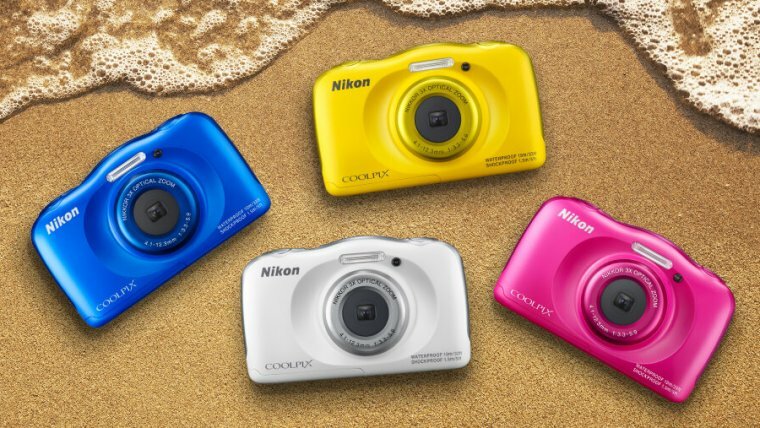 Nikon Coolpix S33 is available in four colors; white, blue, pink and yellow. Whichever color you choose, you will have a vibrant, modern-looking camera. The front of the camera features a large circular lens exterior which is in the center, looking quite impressive in size. Right above the lens, there is a large built-in Xenon flash. The rest of the front face is clear. On the top, you will find three buttons, a button for taking still photos which situated on the far-right side, a smaller power button in the middle and a dedicated video recording button on the far-left side of the camera. The video recording button is of the same shape as the one for still pictures, but is differentiated by a red dot to indicate movie mode. Despite the overall minimalistic design, Nikon though it was important include a button for direct video access, and we love it. The first thing you will notice on the back of the S33 is a large, 2.7-inch TFT LCD screen with 230000 dots coupled with anti-reflection coating. The LCD screen offers decent sharpness, color saturation and brightness for a camera in this class. The anti-reflection coating is a nice addition since this camera will most likely be used a lot in the sun, when screen readability can be compromised. By further examination of the rear, you will find this is where most of the action occurs, although rear controls are kept at minimum as well. While most digital cameras traditionally host a range of control buttons button on the right side, Nikon has managed simplify these controls without sacrificing usability. What we now have is what looks like a four-way circularly-shaped navigation controller. This is normally used for navigating menus but in case of the S33, only left and right arrow are used for moving through horizontal menu options and shuffling through media gallery when in media screen. Up and down arrows are used for zooming in and out photos. Just beneath the navigation controller there is a single button used exclusively for accessing the photo and video gallery. To the left of the screen there are four large buttons, arranged vertically. These are the buttons you use the most, as they offer the most functionality. They are unmarked, which might be confusing until you power on the camera. Each of these four buttons has a corresponding on-screen icon to the right of it (far-left on the screen) and is used for accessing various parts of the menu and settings interface – sections. Each of the four sections is colored differently which greatly improves on ease of use – you get used to the coloring very quickly so it is easier the know where you are at all times. First button – Auto mode. Pressing this button at any time will take you into Automatic shooting mode, no matter what you were doing previously. Simple, effective and straightforward. Second button – Controls for Flash and Self-timer. Third button – Scene modes. These include Night scene, Underwater scene, Food shooting and various other scenes and effects. Image editing, basic image adjustments such as exposure, contrast, saturation, shadows and highlights. Other options are present here as well, such as applying various creative filters, creating photo slideshows with voiceovers, etc. Fourth button – General settings. All other camera settings. The Nikon Coolpix S33 has no optical image stabilization. This means neither the lens are stabilized nor there is any sensor shift to compensate for handshake. Nikon has employed some software stabilization, what they call Electronic VR, but this not nearly as effective as optical IS found on Nikon Coolpix AW130. You can expect minor share reduction during still and video capture, but do not expect being able to use slow shutter speeds to get more light in dark conditions. As we already said S33’s lens are capable of 3x optical zoom. This translates into a focal length equivalent of 30 – 90 mm with aperture ranging from F/3.3 to F/5.9. Wide open, this lens lets through a decent amount of light, even more so than the AW130. However, the widest field of view captured by the 30mm is rather narrow for a family shooter. This means the S33 is less than ideal for close-up shots such selfies or group photos. It will also be harder to capture true landscape photos. On the other hand, narrower field of view means you will have more zoom by default, which can be very useful for certain situations. Say you want to take a photo of a child swimming/playing in the sea, 10m in distance. Narrow field of view plus that 3x optical zoom will allow for a more personal composition with more prominent details. Nikon has upgraded the Autofocus (AF) system with Coolpix S33, which now has Targeting AF System. You expect generally accurate and reasonably fast focus locking, that is until the nightfall – during night or other low-light conditions AF might struggle to acquire focus. Focusing point is always in center, meaning you should frame your composition so the subject in center when pressing the shutter button – for best results, although Face Detection system is also intregrated and a welcome addition, so when you are shooting people Face Detect should detect faces and focus accordingly regardless of your composition. Alternatively, you can focus on the desired subject and re-frame the shot after the fact, while holding the shutter button half-pressed. The 13.2MP CMOS sensor, while relatively small, does a decent job at capturing clear and colorful photos – exactly what is expected from this kind of a camera. As we already said, Nikon Coolpix S33 performs best in bright, sunny conditions where it does not have to struggle with dark shadows and high ISO. This is where you will get the most out of this camera – vivid and sharp images. However, shooting in dim indoor lighting or during the night does present a challenge, as the small sensor doesn’t let in enough light, the ISO automatically jumps to higher levels, inviting a lot of grainy noise. To combat this noise, the camera applies aggressive noise-reduction, smudging all fine details in the process. As expected form a camera of this type, it is not possible to adjust ISO automatically, so testing ISO handling is somewhat difficult. By controlling external artificial lighting, we were able to force the S33 to change ISO settings to see how it performs at different levels. We have found that everything up to ISO 450 (camera will rarely go below this level despite sufficient daylight) is more than acceptable in terms of noise and detail preservation. At ISO640 we already starting to see significant noise, and in turn, aggressive noise reduction. Close up shots will still have fine details, looking relatively impressive even at ISO 640. However, looking closely at distant objects of landscape shots we have noticed heavy loss of details. When shooting in darkness at ISO1000, a blue cast is present all over the shadows. Some detail is still visible but at this point overall quality has degraded substantially. At ISO1600, which is also the maximum ISO level on this camera, you will get very soft details and lots of noise. These results show why we have stated this camera is best to be used during sunny, bright days, and not for nighttime photography. When shooting indoors, use of Flash is advised for best results. One of the areas where the S33 does very good is Macro photography. With the minimal focus distance at 5cm, you can get very close to your subject and capture lots of details. This is especially true when optical zoom is used in combination with close up shots. This presents a great opportunity to capture some interesting close ups underwater, too! Close-up stills from this camera are quite impressive, often beating the performance of much more expensive cameras. Video capabilities of the Nikon Coolpix S33 are about as much impressive as those of still shots. You will get decent video quality in 1920×1080 (Full HD) resolution at 30 fps. This is more than sufficient for an entry-level digital camera. Sound is recorded via stereo microphone and the quality is quite good. In contrast, the more expensive Canon D30 only offers mono sound recording. Maximum recording time is 29 minutes per video clip. While video sharpness and color reproduction is satisfactory, the S33 has some serious limitations due to being a budget camera. First off, you cannot use the optical zoom during live video recording. You have to adjust your zoom level before you hit the record button. We were disappointed to see this unnecessary limitation present with this camera. Note that you will still be able to use the zoom, just not the optical zoom. Instead, the camera will utilize digital zoom. This means the video will get artificially enlarged which will result in loss of detail and pixelization. We recommend you avoid zooming the video digitally at all costs. Rather, if you need to record something in the distance, remember to zoom in before starting the recording. The S33 also lacks optical image stabilization (OIS), although this omission is to be expected in a basic camera such as this one. Optical IS normally utilized to enable shooting stills at lower shutter speeds but also for shake reduction during video recording. Instead of OIS, Nikon uses software stabilization, dubbed Nikon VR. This uses various software tricks to stabilize the shot, although it is not nearly effective as optical stabilization. If recoding video hand-held, you can expect shaky footage with virtually all physical vibration visually present. You could avoid this by using a tripod, will which provide nice and stable footage. There are several different video recording modes. The default mode is the 1080p/30fps which is automatically set once you press the dedicated video recording button. As far as different resolutions and frame rates go, you can only go down from 1080p/30fps and there is not much to choose from. What S33 does offer are a few interesting video effects. There is the vintage/old-style video mode with record video in 640×480 pixels at 30fps and overlays some rather good looking effects. Another interesting mode is miniature mode which is essentially a time-lapse mode with blurred top and bottom parts of the frame, giving a toy-like feeling to the footage. This mode record still photos every 2 seconds with a maximum count of 300 shots, resulting in a 10-second video clip. Nikon Coolpix S33 is a decent camera for the price it asks for. It shoots 13.2 MP still images using a solid CMOS sensor, and it can record video in Full HD resolution. The 3x optical zoom is a nice addition, although it can’t be used during live video recording. These specs might sound impressive to non-tech-savvy users, but you should know that as always, you will get what you for. Camera performance depends on much more than pure megapixels, and the S33 is a good example of that. Physically small sensor significantly drags down overall image quality and is very prone to noise. With that being said, the S33 offers solid image and video quality when shooting in daylight. General performance is better than expected, with fast image processing and fast burst image capture. The time is takes to power on the camera and capture a shot is also low. Software is simple to use and reliable. Ease of use is the selling point of the S33, with easy-to-use menus, simplified options and intuitive controls this camera is perfect for beginners, kids or older people who are non-technologically savvy. 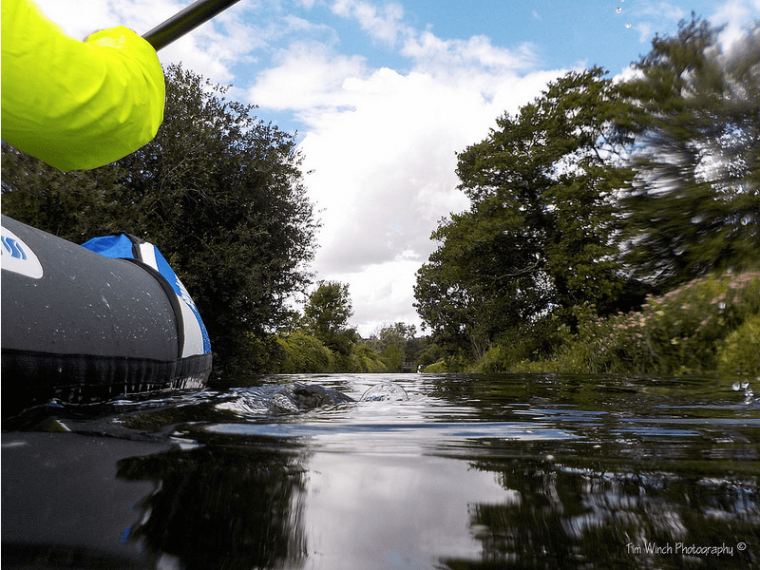 The S33 is a perfect camera for a family going on a vacation because it is waterproof and shockproof. Parents can give the camera to kids without having to worry it will brake down. It also very useful and capable as an underwater camera. Although this camera is meant for beginners, it is not recommended for people looking to learn photography in a technical sense, as this camera offers very limited manual options, thus it is not a good tool for learning digital photography. Thanks to a capable AF system and a fool-proof design, the S33 is the camera to choose if you want to capture photos without having to worry about settings. Most of the time the camera will provide, clear, focused photos which are more than good enough for small family albums or social media sharing.